At this point you should have a fully tested system ready to trade. The last piece in the puzzle is to select your broker. Most markets require that all traders place their trades through a broker. A full-service broker offers advice to its clients for which a premium is charged. In this set-up, the broker will usually take a proactive role, contacting you with trading ideas and then, with your permission, placing the trades. It is a personalised service that usually has a team of researchers working behind the scenes to back up the broker?s advice. You can have access to that data… at a price. Discount brokers, as the name suggests, are a cheaper option because they don?t provide the personalised service you would expect through a full-service provider. Most are faceless organisations that do business over the internet. They don?t offer advice (hence there is no need for them to employ research staff), they simply place the trades you direct them to. This reduces their overheads and makes it possible to offer discounted rates. A discount broker relies on you to make all the decisions about how to trade your account. The best way to decide which option to go for is to determine what you need from your broker. Assuming you have designed your system as outlined in this book, there really is no need to employ a full-service broker. If you are following your trading system, such advice will only confuse your decision-making processes. Sure there are the other benefits that someone is watching your portfolio and that some full service brokers have access to different products, but to get the best stock broker option for you, I suggest sticking with the discount brokers. How do you spot a good broker? Finding the best stock broker means finding one that suits you and your trading style. Here are some questions you should consider when choosing your broker ? either online or full-service. Advertised rates for brokers vary between $0 to $40 per trade for an online broker and up to $100 (or 1?2% of your trade size) if you?re accessing a full-service. Look closely at what the company?s advertised rate really applies to. In many cases there will be varying brokerage for different trading instruments and higher rates for those using a ?live? broker on the phone. The truth is, you may find that the advertised commission rate may hardly ever apply to the types of trades you place. Also, if you?re dealing with a full-service firm, remember their commission rate is negotiable depending on how much business you are running through your account. Negotiate hard and get the best rate you can. Brokerage is a cost of doing business and as such you should always look to lower your expenses. 2. Are there any other extra fees? Many companies, both online and full-service, charge extra ?hidden? fees, that can add significant costs to each trade. Charges to be aware of include those for transferring funds (both in and out of your account), insurance, administration charges, late payment penalties and more. You really need to look at the company?s fine print or e-mail for more details. 3. Can you trade multiple markets, and what are the commissions? As your trading progresses, you may decide to trade different markets. It?s easier to stick with the broker you have come to know and trust. Therefore, you really should plan ahead and choose a broker that can service your needs as you grow. 4. Will they pay you interest on the balance of uninvested cash in your account? Some online and full-service brokers pay interest in the range of 3?4%. A nice little bonus! 5. Do you need to start with a large deposit? Beware of high minimum balances required to open an account. While some companies have good rates, you may need $50,000 to start. It?s a lot of money to invest with a company you haven?t traded with before. Typically full-service firms will require more capital to start an account than a discount online service. Speed and reliability of online trading is of utmost importance. I know of one client with a major online discount broker who watched as his account dropped by $10,000 because a system fault at his end meant he couldn?t log on for a whole morning! Which leads to another tip ? ensure there is a backup way for you to place trades if needed. For an online broker, check that they offer STP (straight through processing). This means that trades are placed in the market as soon as they are made. With some discount brokers, trades are placed manually, so your trade may not be actioned until sometime after you?ve placed it.On the flip side, a full-service broker will usually enter a trade as the request comes through over the phone. 7. Do they offer any automatic features? One feature I quite like is automated stop losses. This feature enables me to set my exit point and it?s automatically triggered. Another one to look out for is ?contingent order? ? do they allow you to place conditions that must be met before an order is automatically placed? For example, if the share price breaks out from your specified buy point of $12, you might like to set an automatic buy trigger. The automated extras are usually more applicable to online brokers, but it?s worth asking the full-service brokers what they offer as well. The trick, then, is choosing one. There will be many brokers that seem to fit all your criteria, so how do you decide the best stock broker for you? How do you know which one to go for, or, indeed, where to even start? My advice is to check in your area for local investment clubs and/or online forums ? they?re a great place to ask for recommendations. You can also do a search for websites that review brokers who specialise in your chosen market. That said, I find recommendations from other traders you know and respect is always the best way to go. Once you have a short list, give them a call and see what feels right for you. Typically I like to go with the broker that?s been around for a while. Find and open an account with a broker. 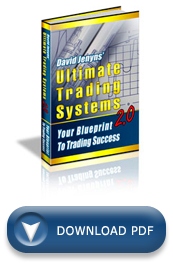 Begin trading your newly designed system and remember to follow it to the letter. Do you have any brokers that you would recommend for day trading, swing trading and position trading, considering the differences? Thanks for the email. Unfortunately this can vary dramatically around the world and there’s so many to choose from it’s hard for me to recommend specific brokers. Moreover, I’ve recommended people in the past and they haven’t been able to handle the extra client load and then their service suffered as a result. This made them look bad and me too for recommending them. Accordingly, I don’t recommend anyone these days, I just offer tips on how to select a good one. Hope you understand. send me the link for a good broker e.g forum etc. I subscribed to your emails after I has been studying FX for a year. Each time you said something I would say “Yeah, yeah I know that”, and I continued to read you and agree, and occasionally say…oh yeah that is right. Recently I accumulated my smallest sum I am prepared to loose. I am ready to start trading. Then your email about choosing a broker arrived…how prescient is that? So, before I watch your video, I have given you $7 as a thankyou, and purchased the course. I have a question. I would like to trade with an ECN but my investment fund size means I will be trading micro accounts sizes for now. I must use a market-maker. My research shows that they will lie, cheat, steal…chase stop losses, spike prices to trigger a close etc. I am not surprised (I have not seen your video yet) as they are MY competition, and I am giving them all my data????? I plan to get data from one broker (using Metatrader), and to trade with another. So, to my question: Without advising me a specific broker, just tell me…are there any trustworthy MarketMaker Brokers out there? I have a short list. I am about to watch your “Choose a broker” video, with interest. Thank you for your course. Just be sure to go for larger, heavily traded, and regulated. Sorry I’m not too sure I can be much more help than that. I’m really steering clear of recommendations in this area since it varies too much. I have been following your style and yes I like the way you see the market and the no nonsence style you have. I put in for your mentorship but at that time money was a little tight as I was already over committed in general. Hopefully in the future I can come on board. I am not a wipper snipper but almost sixty in the shade. Hope age is not a problem to you.